Bigger or more big? What is the right form? 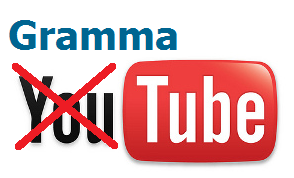 If you’re not sure, don’t miss this new episode in the GrammaTube series. In this new post we introduce several videos chosen from YouTube that will allow you to understand and properly use comparatives (bigger than) and superlatives (the biggest). Grammar can be one of the most difficult skills to develop in English but it is without doubt the key to progress throughout your learning. A good grammar base will help you to write properly and speak in English, hence improving communication with other people.